Be playful, enjoy capturing the world, make your friends laugh, and create amazing things. Lensical is a powerful Camera, Photo Library and Image Editor that adds everything from subtle photo presets & watercolor filters, to face aging effects and follicle accurate mustaches. Make your photos perfect and selfies... hilarious! All within a simple, beautiful, gesture-based interface; shoot & share photos in any aspect ratio, easily browse and organize all of your shared streams & photo albums, and get creative with a huge selection of non-destructive photo filters and face effects that will make your friends giggle. - Tap to set a focus point, then drag to adjust exposure. - Quickly toggle between square & natural framing. - Just swipe down to reveal your photo library. Wheeeee! - View, browse, and share your photos super simply. Prepare to be wowed. - You’re the boss. Press & Hold your photo streams and folders to organize them however you want! - Get creative with Apptly’s famous face-morphing effects. Make 80 year old friends, add beards, grow mustaches, or even go bald. It’s awesome! 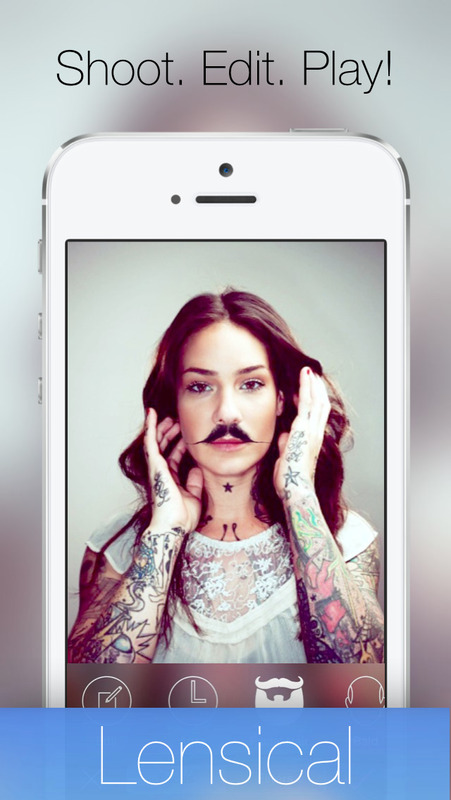 - Select beautiful filters and photo presets that make it easy to be awesome. - Try amazing paint effects and canvas textures. Because sometimes subtle just isn't your style. - It's super easy to share to Instagram, Twitter, Email, SMS, Facebook, and more! Hit us up on Instagram @apptly and... have fun with your photos. PRINTING - Get your photos printed on canvases, phone cases, shower curtains and all sorts of what have you!